IzoT CT or OpenLNS CT includes an IzoT / OpenLNS server which supports an unlimited number of networks with a maximum of 32768 devices each with no limits on run time and no expiration. For the installation of ISO/IEC 14908-1 Control Network Protocol compliant devices no commissioning fees or credits are charged. 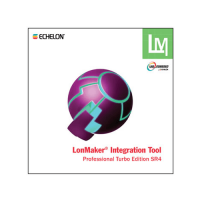 For the installation a separate OpenLDV 4.0 compatible LonWorks network interface such as the Echelon U10 or U20 USB Network Interface, i.LON 600 LonWorks IP-852 Router, or SmartServer Controller is required. A network interface is not required for the network design itself. * Visio upgrades are not included. 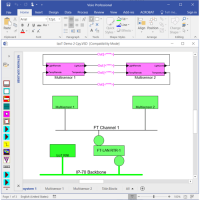 For a detailed summary of the differences between the Visio Versions click here. 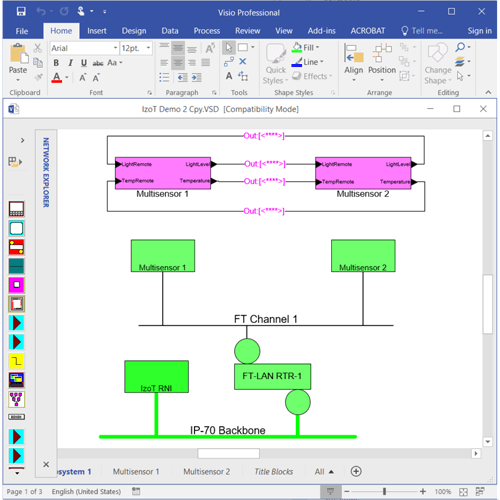 Provides easy-to-use design, commissioning, and maintenance for LonWorks networks using a simple diagramming interface provided by Microsoft Visio 2016 (Visio 2010). Supports multiple simultaneous users, applications, and plug-ins. 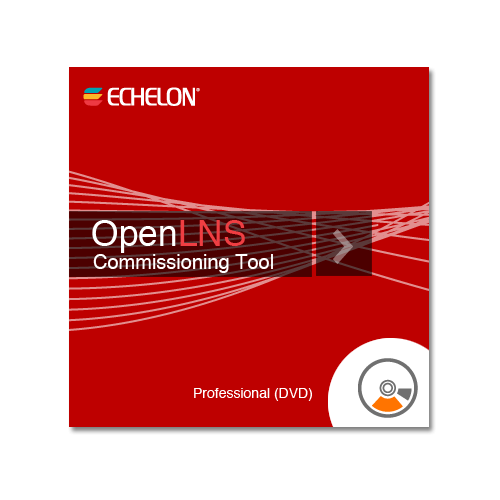 Provides easy integration with third-party tools and applications with OpenLNS and LNS plug-in support and with XML import and export. Provides automatic connection-type selection to improve network reliability and reduce common errors when specifying connections.